‘Houses 30% undervalued’ – RBA …Really? 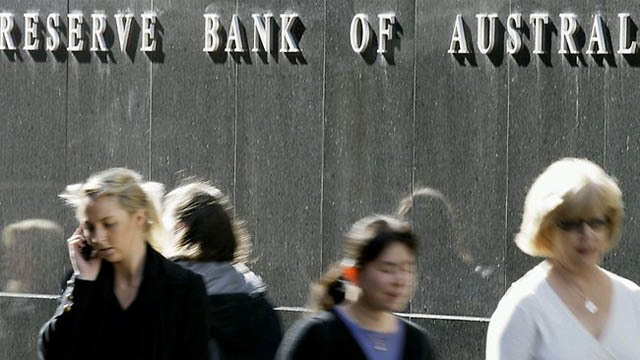 RBA says houses are 30% under-valued. What do they know that we don’t? Someone asked me what I made of the RBA claims last week that houses are 30% under-valued. That’s the word from the quaintly named Dr Tulip, senior research manager at the RBA. Dr Tulip has a model. That model says that house prices in Australia are currently 30% lower than you’d expect them to be. Of course, people have flipped their lids. Houses are expensive! Everybody knows that. Have you tried to buy a house in Sydney lately? Are you nuts? So do I agree with Dr Tulip? Because economists’ models are simplified abstractions of a world that’s complex and constantly changing. The world is just too complex to stuff into a model. It’s like long-range weather prediction. And the real estate market is constantly changing. Very few people saw the impact of Chinese buying on the horizon. Any model that failed to account for that factor would have been way out. What they can be useful at is shining a light on trends and changes that are worth thinking about. And this is where Dr Tulip’s results are interesting. Because a few years ago, his model was saying that house prices in Australia were ‘fairly priced’. So how did we get from being around fair value to 30% under-valued? Specifically, long-run interest rates. Tulip’s suggestion is that our markets haven’t caught up the new reality – a reality where interest rates stay lower for a very long time. Because interest rates are central to the question of affordability. If interest rates are lower, people can afford bigger mortgages. The lower interest rates go, the more we can bid up the price of housing. But it’s not the only factor at play. Because longer-term interest rates (e.g 10-year government bonds) have fallen to some of the lowest levels on record. And what that tells us is that no one in the market expects that interest rates are going to rise anytime soon. Is that true? Well, who knows, but it’s not an unreasonable expectation. Because look at what’s going on around the rest of the world. Interest rates are still at zero in the US, Europe and Japan. In Japan they’ve been at zero for twenty years. Australia has, in Glenn Stevens’ words, interest rates at “the lowest levels in human history.” But they’re still high by international standards. And in the US, the economy seems to have found its feet. Unemployment has fallen from over 10% to a little over 5%. And yet, interest rates are going nowhere. No one anywhere expects interest rates to rise. And so longer term interest rates have fallen to record lows. That also feeds back into the banks’ cost of funds – the cost of borrowing money on the wholesale market. If the cost of capital falls, we can see mortgage rate reductions, even without an official rate cut from the RBA. And that’s what Dr Tulip is pointing out. In a world where interest rates stay lower for longer, house prices could have some way to rise. But 30%? Look, who knows? It sounds pretty high. But I wouldn’t get too hung up on the exact number. And if you were to ask me if I thought house prices would rise 30% over the coming years, I would say yes. Just don’t ask me how many years it’s going to take! The point is house prices are what they are. People will pay what they will pay. The market will do what it will do. Don’t get too caught up on ‘market timing’. Invest in good suburbs with growth potential. Manufacture your own growth. And let the economist bicker over their models. What do people think? Is ‘30% under-valued’ way out?